​Hong Kong Afro Latin Parties of Dj SGF "SalsaGodfather". 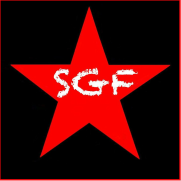 Weekly event of Dj SGF "SalsaGodfather". At CÉ LA VI Hong Kong, (Rooftop terrace) the Pursuit of Pleasure ascends to dizzying heights. 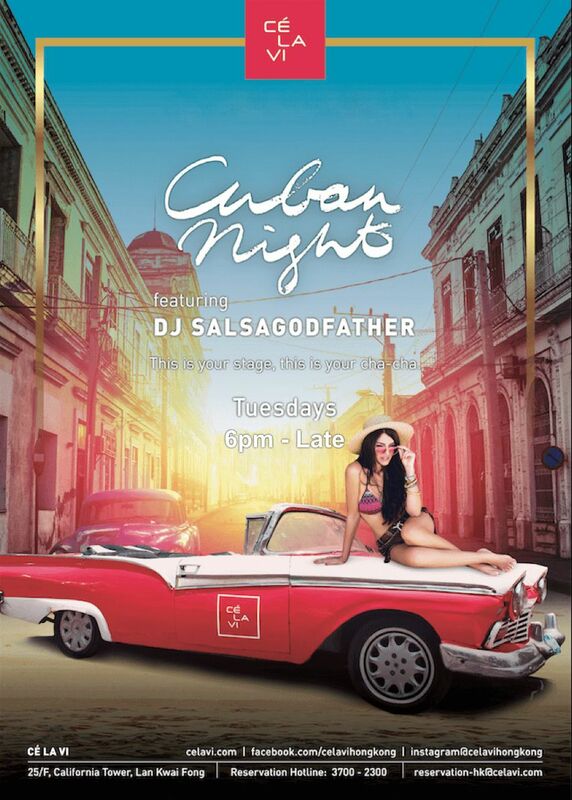 Luxuriate in sublime surroundings at our Cuban Night Sessions, with seductive Latin beats and soul-stirring cocktails. Every Saturday Night.​ Latin Salsa Mix (Salsa, Bachata, Merengue, Reggaeton...) by Dj SalsaGodfather and Live percussion with The Tropishow (Ponchong Kong. ).10pm till 3am. Saturday night was made for Latin dancing, and Picada's the perfect place to get your fix. 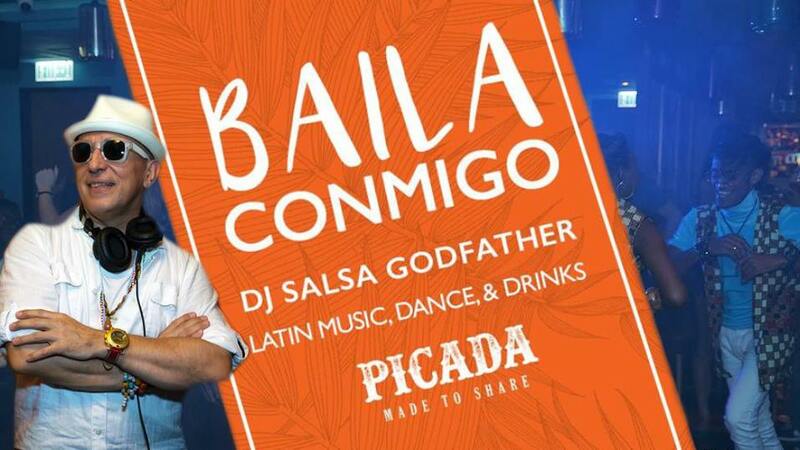 Meet us at PICADA for our weekly Baila Conmigo - Enjoy the dancefloor, the terrace, and tasty bar bites. Journey Latin America through your palette at Picada, a Latin fusion restaurant and bar that celebrates the diversity of Latin culture. Overlooking the buzzing streets of Lan Kwai Fong, the colorful space and oasis terrace invite you to escape the crowds and enjoy artfully crafted food, specialty drinks, live music and great company. The creative menu will take diners on a culinary expedition through Latin America with iconic flavors and dishes from each country - a veritable “picada” of Latin cuisine. Visit the lively team at Picada, the heart of Latin gastronomy and culture in Hong Kong, for lunch, dinner, drinks & dancing. Live the Latin life of music, family, friends and delicious food! Everything at Picada has been made to share: our jarras menu, Picada platters, and of couse- our dance floor! Whatever the ocasión, come share the memories with us. 2018 Annual event of Dj SGF "SalsaGodfather". Come join the Hong Kong Salsa Festival and World Championships. 2018 Summer event of Dj SGF "SalsaGodfather". "ASIA PLAZA" the Dance-floor, right next to "Tempo Latino" arena! More than 8 international bands during those four days..